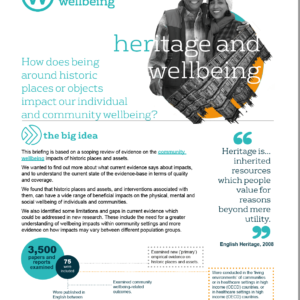 What is the relationship between wellbeing and transitions into – and out of – work? Are workers with lower wellbeing more likely to become unemployed, or move into long-term sick-leave, care or early retirement? Similarly, if you have higher levels of wellbeing, are you more likely to move from worklessness into employment? By worklessness, we mean not being in regular employment or education/training, because of unemployment, retirement, disability and, family care. 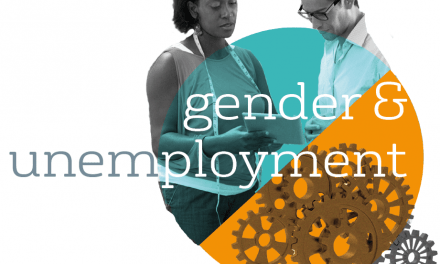 The What Works Centre for Wellbeing is carrying out a systematic review to find out how wellbeing affects the probability of transitioning into and out of work for different demographic groups. 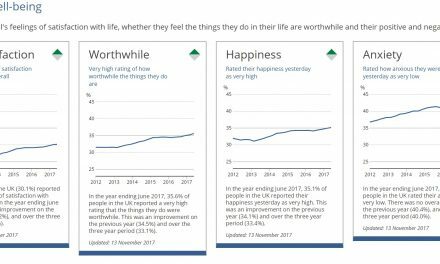 Although life satisfaction is our preferred measure for wellbeing, evidence of effects of wellbeing that may include stress, mental health, anxiety, and depression are also welcomed. Do you know of any work which has explored this? How individuals’ wellbeing affects transitions into and out of work, duration of worklessness and the subsequent transitions. The impact of poor wellbeing on the probability of remaining in worklessness. The impact of improvements in wellbeing on the likelihood of returning to work. The extent to which the effect of poor wellbeing on worklessness, duration of worklessness and the transitions out of worklessness states vary across groups (e.g., age, gender, ethnicity, family status). We welcome evidence of a qualitative or quantitative nature, provided the evidence meets the criteria outlined below. Studies that use longitudinal methods are preferable. However, we also seek evidence from high quality cross-sectional studies. All examples must be written in English or have an English translation and include an author and date. We can only accept evidence which can be made publicly available. 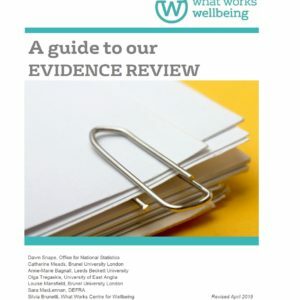 Please send your submissions electronically to the What Works Centre for Wellbeing (evidence@whatworkswellbeing.org) with the subject line ‘Evidence: Wellbeing and Work Transitions’. All submissions should be received by 21 of December 2016.